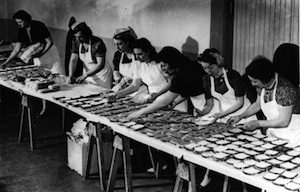 Now it's Microsoft's turn to get into the extreme food action. 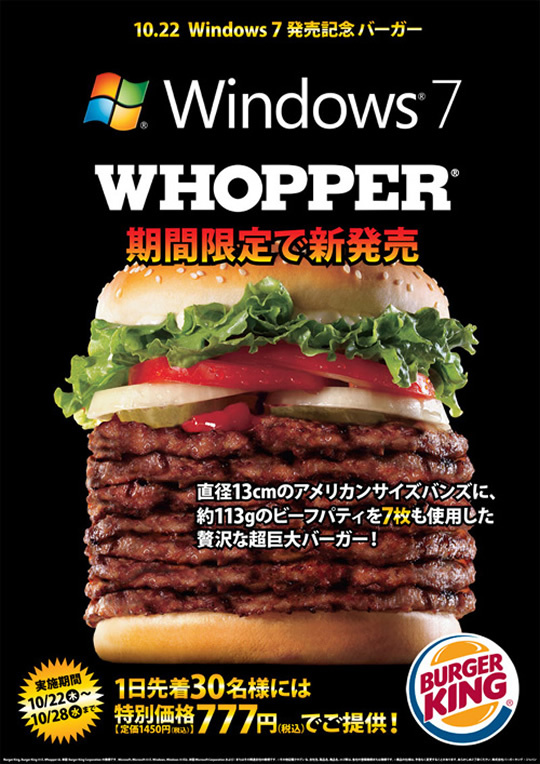 Teaming up with Burger King in Japan, behold the gigantor Windows 7 Whopper. To promote the new operating system, it's got lots of sevens! 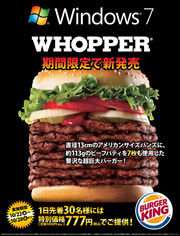 Seven beef patties, available for a week only (seven days), it'll cost ¥777 ($8.50 US). Just looking at it, my system crashed. Might I just say, Glurt! Think I'll stick with my Big Mac. Not as bad as the Windows 95 Whopper! did you get that line from Colbert Report?